In Congressional testimony, United States Attorney General William Barr stated that he thought “spying was going on” against the 2016 Trump campaign. While a bombshell for some, this came as no surprise to many of us who’ve worked for decades in the Intelligence and Law Enforcement business. Just weeks ago, we were seeing headlines asking what President Obama knew and when did he know it about the Russia-Trump collusion narrative. However, that tired old conspiracy question is not the one we need to be asking. We already know Obama knew. Why did President Obama order the Russia National Intelligence Assessment? is the real question that must be asked and answered now that Special Counsel Robert Mueller has proven beyond a shadow of a doubt the Russia-Trump campaign collusion narrative was false after two years of rigorous, well-resourced examination. I and other national security professionals have been questioning the Russia Election Meddling NIE since its publication. That NIE was a purely political document with zero public evidence, and the one the media misrepresented as a unanimous view of 17 intel agencies when it was only the 3 agencies led by political activist appointees that were unanimous. Why did the president order the Intelligence Community Assessment NIE? What was the factual information he used to make the decision? Why was, and is, his CIA Director John Brennan making extreme accusations, such as treason, about the current president? Why were so many U.S. citizen unmaskings requested in NSA surveillance during the last year of the Obama administration? Why did Acting Attorney General Sally Yates lie about Lt. General Mike Flynn being “compromised” while no collusion existed? What were the roles of President Obama, Yates, Clapper, Brennan, Lynch, Comey, Rice, Rhodes, Power, McCabe, and Strzok in the decision to move forward on the NIE, release it publicly, and forcefully accuse President Donald J. Trump of being a Russian asset? Only in answering these questions will we be able to establish the linkage to the things we already know about the FISA applications, the FBI’s corrupt leaders, and the extent of the attempted takedown of a U.S. president. But, answer them we must, and quickly. 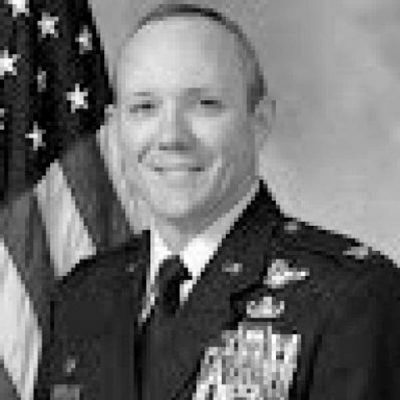 In my opinion, as a former senior officer with command position experience in the intelligence profession, the Mueller investigation has caused extremely grave damage to the United States of America by dividing her citizens in nearly irreconcilable ways and to the credibility of our Intelligence services. The Trump administration must take immediate action by doing a thorough criminal investigation from the seminal event: President Obama’s order to conduct the intelligence assessment, through the end of the Mueller investigation and beyond if necessary. That is the only effective path. We already know the opposing Democrat politicians are not going to stop. The only way they and their media acolytes will be shown for the frauds they are is to do this criminal investigation. Some of them, like Representatives Adam Schiff, Eric Swalwell, and Jerrold Nadler need to be deposed since they’ve all said they’ve seen hard evidence multiple times. The full force of our intelligence surveillance, analysis, and assessment capability was trained on a presidential candidate, his transition after he won unexpectedly, and on his administration from the very beginning, on the orders of the president of the United States of America. The questions Who, What, Why, When, and How must be fully answered before our nation can heal and move forward. Then can we focus our priorities on creating the world’s first Space Force, improving cyber defenses, ending the forever wars, securing our border, reforming our immigration system, and tackling the biggest threat of all, over $22 trillion in national debt.